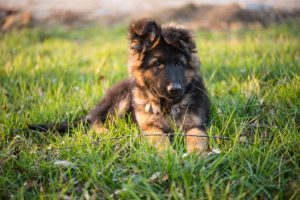 A dog doesn’t get to choose their pet sitter and while the dog might not be perfect, you probably won’t have to train them. But, since you’re moving into their house, you should know how to provide leadership and earn their trust. In the dog world, trust and respect are important. A dog is only happy when they feel secure within their pack. When you’re house-sitting with dogs, you become the dog’s pack. That means a sitter’s ability to build trust and earn respect is important to the dog’s well-being. Because you’re a stranger, because you’ve invaded the dog’s space, and because you are going to be living with the dog. The dog needs you to demonstrate that you’re not a threat. Hint: giving the dog cookies doesn’t earn trust. Dog leadership is a way of interacting with dogs that the dog recognises as leadership. Do not look at the dog, do not talk to the dog, and do not touch the dog. That’s the beginning of a good relationship with a “stranger” dog. Dog Leadership for House Sitters is a course designed by full-time house sitters, advanced dog handlers and professional trainers. 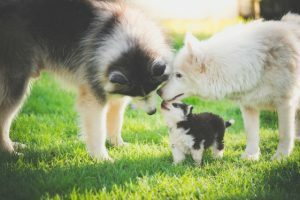 You also learn proven dog-handling techniques like food, door and resource control that demonstrate your leadership to the dog in a way the dog understands. When you take over their pack, they expect you to lead. If you do, the dog will present fewer behavioural issues and generally be calmer and happier. When you provide the dog in your care with leadership, you’re nurturing their nature and desire to follow. Dog’s love it because nature made them great followers. They want you to lead. Next post House Sitting with Dogs? Be Ready for Surprises. Have you considered a Dog Leadership short course?